Celebrate any special occasion with the right outfit. But if finding a good outfit is difficult, you can always go for great hats. When choosing occasion hats, it is important that you match the event with the right hat. There is often frustration and impatience involved with picking the perfect outfit for Events and Occasions. This stress can easily become a thing of the past with Event and Occasion hats. Save yourself the time and energy looking through piles upon piles of different clothes and settle for something simpler and free of hassle. While these options may be simpler, they still are able to boost any outfit into the proper standards for any Event you are going to due to the many styles and variations of Birthday Event Hats. No matter who, what, where, why, or how you are celebrating, there is a hat for your special needs. These hats tie together the feelings and emotions of festivities and packages them into headgear that people of any age and any gender can enjoy. Traditions are an integral part of our society so it is only fair that our clothing can express these traditions, milestones, or special events. Special events and occasions require celebrations. So, whether you are celebrating in a simple or massive way, be sure that you dress for the occasion. Here at e4hats.com, we have great selections of headwear to celebrate special events. For instance, if you are celebrating a moving up ceremony, then opt Graduation Hats. Graduation hats look very traditional and they are meant to indicate a very important academic milestone. If you are celebrating your birthday, then you need to wear the right Birthday Hat. Gone are the days when birthday hats are limited to the conical paper hat. 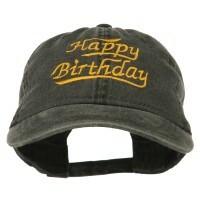 Today, there are many styles and designs of birthday hats to choose from. If you can’t find the right style of birthday hat, you can always wear Fiesta Event Hats on your special day. And why not? After all, both occasions are fun and festive. Aside from birthdays, another important occasion that you need to wear a special hat are weddings. But do people generally wear Wedding Event Accessories? Well, if the wedding is extremely fancy, they do wear hats. So, pick out the ones that complement the occasion.